frame src="//www.youtube.com/embed/ej2N6JdFr40" width="1000" height="563" frameborder="0" allowfullscreen="allowfullscreen"> As promised in my last post, today I will write about my installation „take a pic“. The concept for this installation was the reason I went on my last trip to Ghana, which then turned out to provide so much more material and ideas than inititally intended. 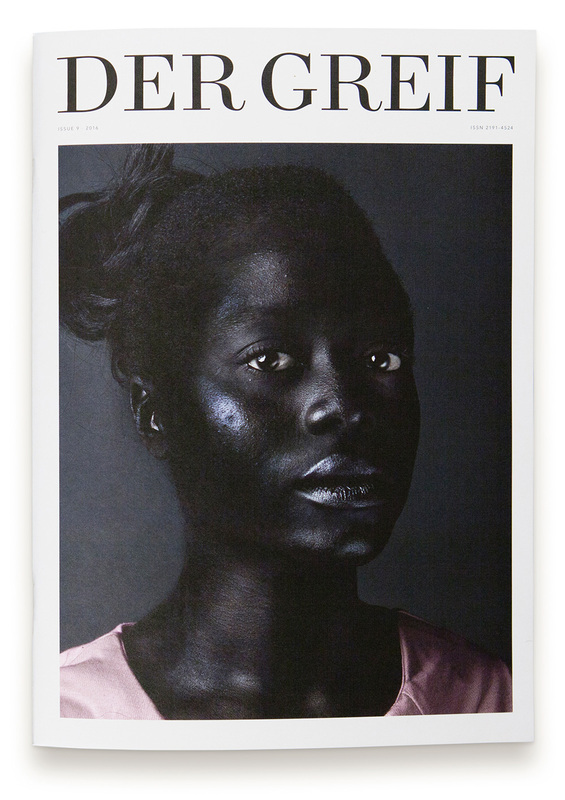 Amongst others, the „African Alltag Stills“ featured in Der Greif. Here´s a technical brief to the installation: A large format photograph shows the panoramic view of Cape Coast. The photograph´s surface partially consists of buttons, which may and should be taken out of the picture by the audience. On the flip side of each button there is a graphic code, which can be scanned by a computer hidden inside a podium. This podium does also contain a screen behind a round opening in the top. As the computer scans the code, a video starts on the screen, showing a film taken at the location of the button within the city panorama. Take a look at the video above to see for yourself, how it works. The round shape of the screen has a focussing effect, as if one was looking through a telescope to get an insight to everyday life in Cape Coast. My round, wooden pictures „African Alltag Stills“ follow the same concept. Each button that is removed from the picture increases the landscape´s perforation, thus blurring the superficial view of the city. At the same time, the videos provide a very intimate impression of people´s life, thus changing the viewer´s perspective from the superficial to the emphatic. I was very happy when „take a pic“ was selected for the finals of this year´s Blooom Awards at the Art.Fair in Cologne, and then again at the gallery „Die Kunstagentin“, also in Cologne. The scan and video technology I used in the installation came courtesy of Johannes „Jo“ Blank, who used a similar technology in one of the installations at the spectacular UAMO urban art and media festival in Munich. Thank you very much, Jo!